I think this book will always be compared to Agatha Christie's And Then There Were None as there are obvious similarities but despite that, I really enjoyed the modern setting. A newspaper advertisement brings together a group of strangers for a 'Survivor'-type tv show. They're transported to an island in the South Pacific where they're expected to live and film for a year. Things start to go wrong almost immediately when several group members discover they know one other. The radio, which is their link to the outside world, is found to be a receiver rather than a transmitter; so when things really start to go haywire, they're unable to call for help. The islanders soon discover a murderer in their midst and the so-called tv documentary was nothing but a ruse to bring them to the island for some vigilante justice. But which one of them is the murderer? Who has motive and opportunity? Paranoia creeps in... and there's no way off the island! 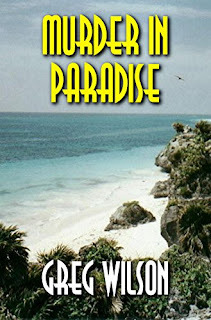 I thought Murder In Paradise was a great whodunit. Some of the characters I liked and others I didn't. Some were genuinely nice people and others were not. It trotted along at a good pace and I wanted to discover who would survive and who would not. It kept me guessing until the end. A remote island in the South Pacific plays host to a dozen strangers. One of them is a murderer. 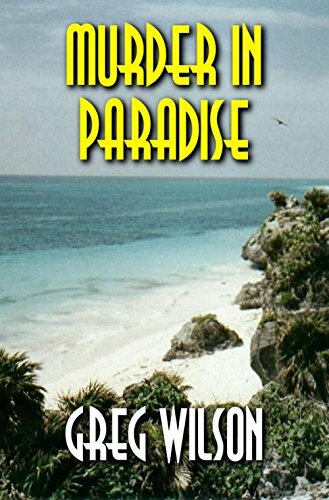 An advertisement in a newspaper brings a disparate group of people to a tropical paradise. They will live together for a year, work and build a community, and film everything that happens for a documentary that will only see the light of day at the end of the trip. Almost at once, things begin to go wrong. They are meant to be strangers, but some of them have met before. They are meant to receive regular visits by the company funding the documentary, but nobody ever comes.